Unlock and share insights with your clients by pooling and curating farm data into a publishable benchmark. Head to your dashboard at my.figured.com and select the Benchmarking tab, once in there select + New benchmark. Add a name for your benchmark and enter a quick description so others know what your benchmark will be for. Select whether you wish to run a quarterly or annual report, as well as the financial year and the month end (i.e. May would mean you wish to run the financial year starting June 17 - May 18). Select the type of data you wish to look at (Actuals / Actuals + Forecasts / Budget) & the country you wish to pull farms in for. If you select to view forecasts, you will need to include the Actuals to month as well. 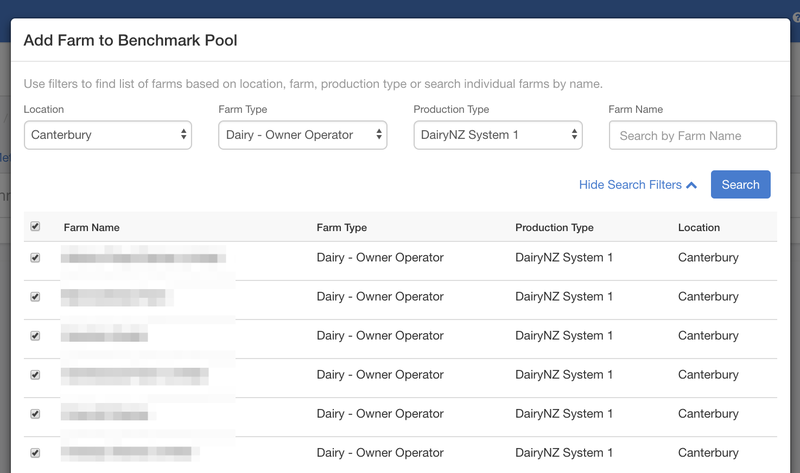 Head into your newly created benchmark and use the tool provided to enter a list of farms you wish to have in your pool using + Add farm. You can add both Financial Farmer and Figured Lite farms to a benchmarking pool, so all of your clients can benefit from benchmarking! It's recommended that if you add Figured Lite to the pool, that your settings (step 2) align up with what Lite is compatible with. For example, you could create a pool containing a mix of Financial Farmer and Figured Lite, and the settings could be actuals for the prior year, or actuals + forecasts for the last quarter. NOTE: If you select actuals + forecasts for a pool containing both FF and FL, the future forecasted data may not be accurate due to FL being actuals only. Use the drop downs provided to filter what sort of farms you wish to add to your benchmark, or you can search by the name of the farms if you wish. Mark the farms you wish to add on the left hand side and select Save once done. If you have not added farm type / production type and location details to your farm, these will not appear in the filtered search - you can add in those farm details using the steps outlined here. Click into Metrics and use the checkboxes provided to indicate what metrics you wish to apply to your benchmark. In the below example, I have selected the options that would be applicable for my dairy farm benchmark pool. Once done, press Save. 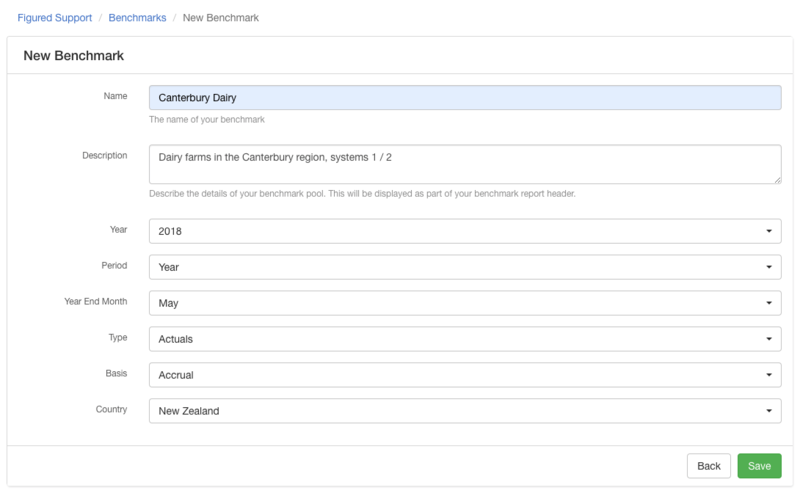 When a farm has been added to a benchmarking pool, Figured will give you a score (out of 100%) which tells you if the metric data within a farm has been added in. This quickly allows you to see which farms have been fully setup, and which still need to be a bit more fleshed out. Your benchmark has now been created! The final step is to review the data brought in from your farms to ensure the data is accurate & you have removed any outliers which may affect reporting before publishing this benchmark.